Jim's Loire: Monsieur Loire fait La Loire! Yes! Jim Budd, Monsieur Loire himself, is about to embark on a huge challenge - cycling from the source of the Loire to the Atlantic. Starting tomorrow in the Ardèche, just below Le Mont Gerbier de Jonc, he will be covering about 1000 kilometres. And he is doing this to raise funds for two very worthwhile charities in memory of my niece, Esme Morris Macintyre, who died last year at the tender age or eighteen. 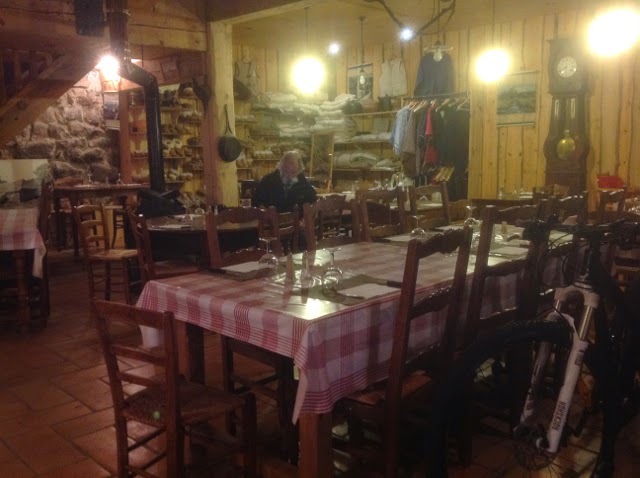 We've arrived at the nearest auberge, the Auberge de Bachasson, just 800m from Mont Gerbier de Jonc, to start this challenge. As his supporter and partner, I'd like to make a special appeal to all of you who have followed Jim's Loire over the years and freely benefited from his intimate knowledge and understanding of the Loire and its wines. If each of you donated just €5, or even €10, he would easily surpass his target. So, please, choose one of the charities, log on to Jim's page and give just a small amount. Will these links work in the US? And how is the exchange handled, if so? We cycled in the Loire in September, two years ago, so we know how wonderful it is this time of year. Bon voyage! Frank, I've just donated on behalf of my mother, from France. It was slow but it worked. I used the Virgin page and Paypal, and paid in sterling.